Harold Camping simply wasn’t crazy enough for modern progressives. 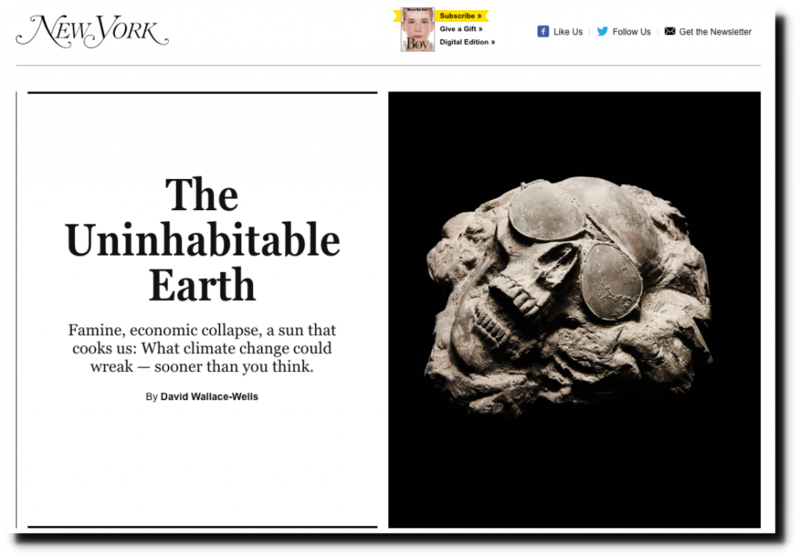 It really is amazing (to me anyway…) how the warmunist scammers have convinced large segments of the world population that mild warming along with enhancement to the biosphere due to CO2 enrichment are problems. That we can do anything about the non-problem of warming is also a novel, psychotically delusional, idea. Yes Dr R0y’s graph is interesting, however he is highlighting the Feb figure for 2018 and not the Feb Figure for any other year for comparison. However the majority of the energy goes into the oceans and melting the ice which the Troposphere does not capture, however with his measurements he can also capture the stratosphere and that is cooling as predicted by the theory and models which he has not highlighted. Ice is melting at -20C? Who knew? Does not understand temperature anomaly plot. It’s done that way so you don’t have to compare February to February. Stratosphere hasn’t cooled in more than a Decade that last time I looked. The trend only tells the story if you believe the process is long term linear. If climate processes are cyclical as is more likely the case, then linearly projecting a short term trend is naive and only useful if you want to construct a narrative for political purposes. With 70 ± year ocean cycles, 39 years is too short a period to read anything into these tea leaves. Yep disAbel, the “trend” does tell us the story. Only tiny rise in temperature coming from solar assisted ocean events called El Nino. Another victim of acute toxoplasmosis. Hansen is looking more and more like jelly, not toast. Heh. I like thinking of the royal “We” when I look at his pasty mug. David Wallace-Wells is a first order nut case. I wonder how much they paid him for making this stuff up? 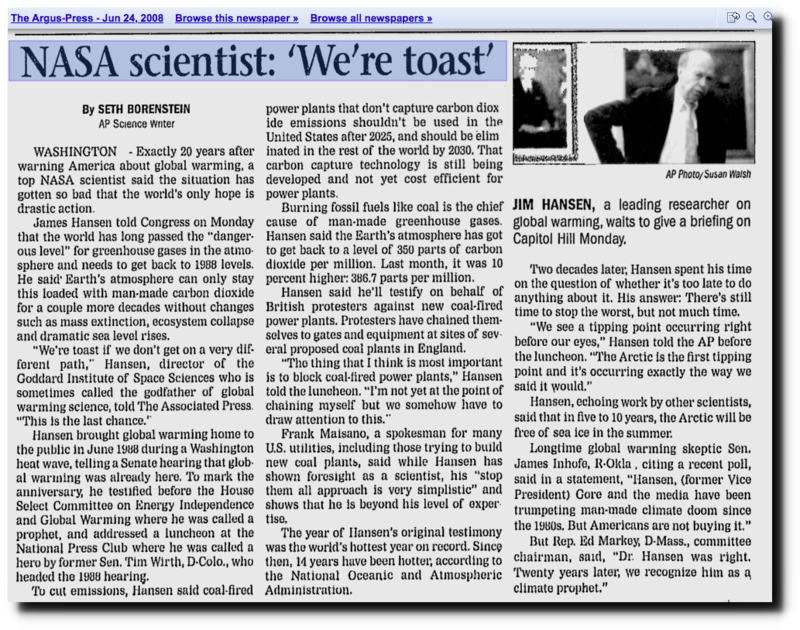 Are all climate alarmist as neurotic as James Hansen? Personally, I am pretty happy to be living during warm times which are generally far more conducive to health and prosperity than cold times. Even better to be living in warm times with sufficient CO2 for plants to prosper. Imagine living in a time of long, harsh winters and poor crop yields. Times when death by starvation and disease become more common. So climate change is going to cause the sun to cook us. I wonder how that works? a close approximation of the Gregorian calendar tropical year (365.24219 days, rounded to 365.2422). He projected these cycles into modern times and combined the results with other information in the Bible. Camping’s date for the crucifixion of Christ – Friday, April 1, AD 33 (Gregorian) – is nominally the same day as one of those supported by other twentieth-century commentators: Friday, April 3, AD 33 (Julian). However, the dates differ because Camping used the Gregorian calendar, while most commentators use the older Julian calendar, which had a two-day difference during the 1st century AD (they now differ by thirteen days). In 1992, Camping published a book titled 1994?, in which he proclaimed that Christ’s return might be on September 6, 1994. In that publication, he also mentioned that 2011 could be the end of the world. Camping’s predictions use 1988 as a significant year in the events preceding the apocalypse; this was also the year he left Alameda Bible Fellowship. As a result, some individuals criticized him for “date-setting.” Camping’s later publications, We are Almost There! and To God be The Glory, referred to additional Bible passages which, in his opinion, pointed to May 21, 2011, as the date for the Rapture and October 21, 2011, as the date for the end of the world.